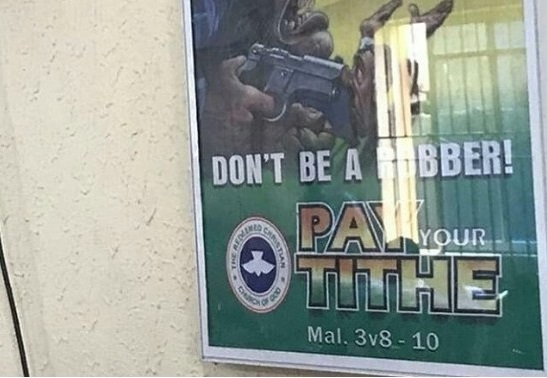 Home > PHOTOS > Daddy Freeze Criticizes RCCG On Tithe Banner "Don't Be A Robber! 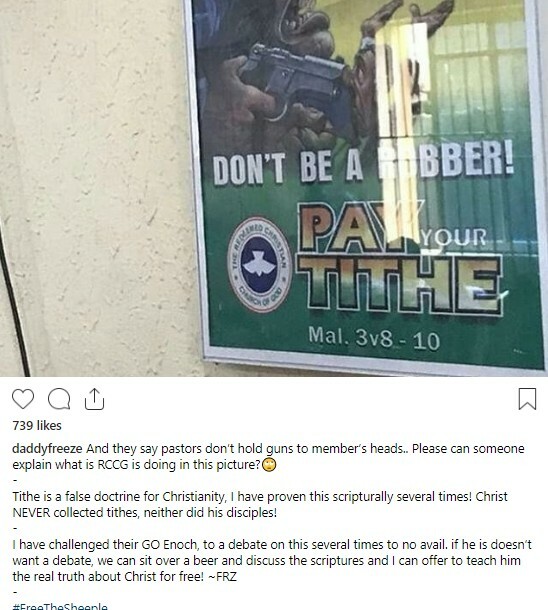 Pay Your Tithe"
Daddy Freeze Criticizes RCCG On Tithe Banner "Don't Be A Robber! Pay Your Tithe"
Tithe is a false doctrine for Christianity, I have proven this scripturally several times! Christ NEVER collected tithes, neither did his disciples!